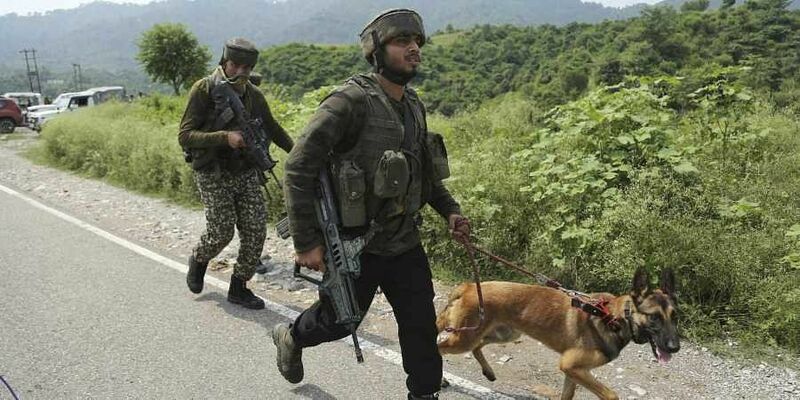 The security forces launched a cordon and search operation in the Babgund area of south Kashmir district at night based on inputs about the presence of militants there, a police official said. SRINAGAR: A Lashkar-e-Taiba (LeT) militant was killed and another suspected militant was injured in the gunfight with security forces in Pulwama district of Jammu and Kashmir (J&K) on Saturday while a policeman was shot dead by militants in the Sopore area of north Kashmir’s Baramulla district on Friday night. A police official said acting on specific information, the police, the Central Reserve Police Force (CRPF) and the Army launched a joint search operation in the Babagund area of Pulwama district in south Kashmir in the early hours of Saturday. He said militants who were hiding in a house in the area, fired on the team. “The fire was returned by the troops, triggering an encounter. In the ensuing gunfight, a Lashkar militant Shabir Ahmad Dar was killed,” the official said. Sources in the security forces said the injured person, identified as Showkat Ahmad, was taken to a Srinagar hospital by locals where he is currently under treatment. Another officer said one more militant, identified as Zahoor Ahmad Thokar, an army deserter, managed to escape during the gunfight. On the other hand, militants shot and killed policeman Javed Ahmed Lone inside his house in Sopore in north Kashmir’s Baramulla district on Friday night.